A new feature was added to Lake Lorraine today — a fountain on the southern end of the lake. 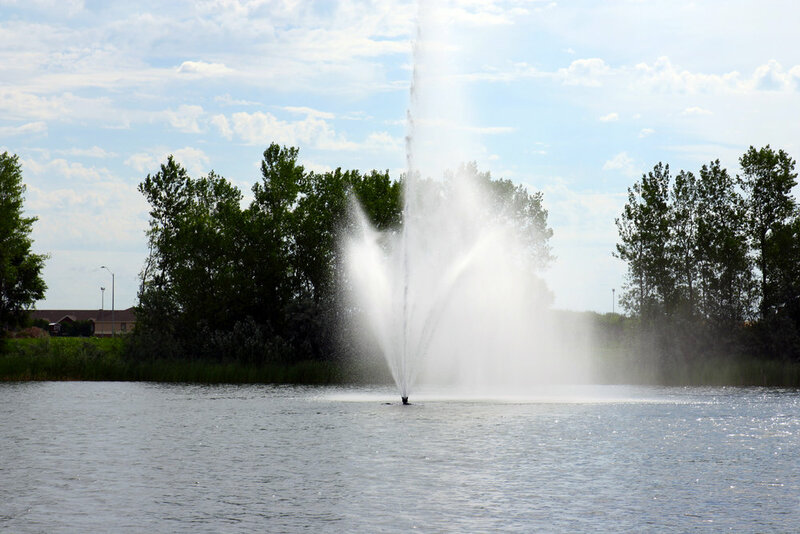 Friessen Development, Inc. installed the fountain as part of continued enhancements to the development and Lake Walk, the path that will eventually go around the lake and is open to the public on the west side. Friessen Development, Inc., the land owners partnering with VanBuskirk Companies to market and develop the area, will continue to add more features to the Lake Walk this summer and fall. While the lake itself is private, the Lake Walk is open to the public. In fact, several residents at Grand Living at Lake Lorraine were able to watch the fountain installation as they enjoyed their regular Saturday morning coffee from the shores of the lake. The lake view with their morning coffee is a definite perk, they said. The fountain is visible from all points along the west side of the Lake Walk — and can even be seen from W. 26th Street just west of Interstate 29. The fountain was installed by Friessen Construction employees, who had to wait for a break in their construction schedule and optimal wind and weather conditions. 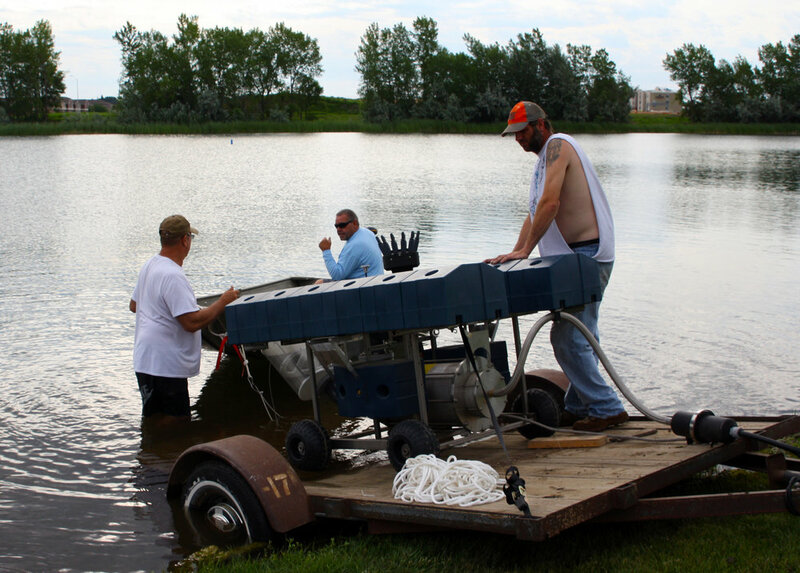 Friessen Construction employees load the fountain into Lake Lorraine. A small boat — the only time you’ll see a motorized boat on the lake — pulls the fountain out to its location in the southern part of the lake. Two small boats worked to move the fountain to its proper location in the lake. Altogether, it took about an hour to anchor the fountain to its spot in the lake. It will run through the summer and into the fall and then taken out for winter. This lake view never gets old — the fountain was purchased and installed to add to visitors’ enjoyment of the lake. After placement and plugging it in, it works! The fountain is easily seen from many points around the lake — even from W. 26th Street, just west of Interstate 29. Pictured are some of the residents and staff of Grand Living at Lake Lorraine, who watched the fountain installation from the shore. A premier lifestyle center located in Sioux Falls, South Dakota where you can shop, dine, play, live, work and stay. 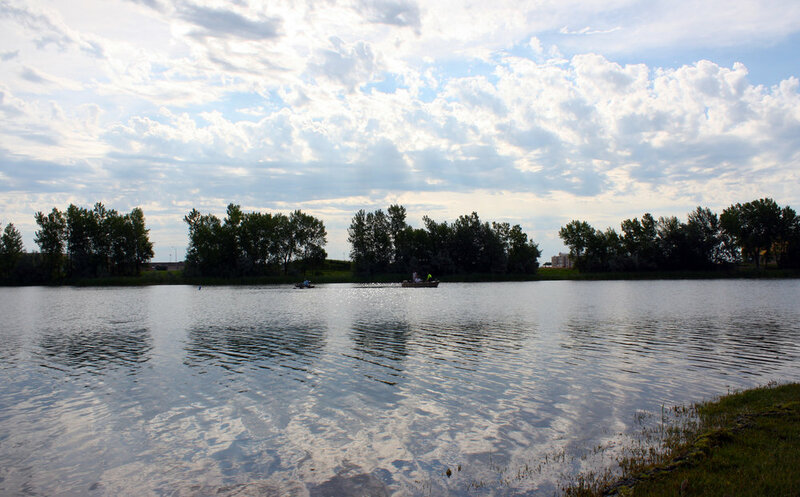 Lake Lorraine was designed to give residents and visitors an adventure every day! Copyright ©2016-2019 VanBuskirk Companies. All rights reserved.